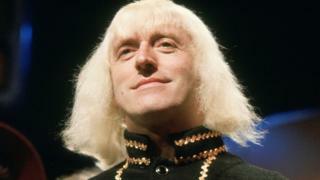 Analysis: How did Savile get away with it? Back in 1980, a nine-year-old boy called Dan Davies went to see Jimmy Savile at a recording of Jim'll Fix It. Watching his demeanour on set between takes left him, he says, feeling disturbed. "He seemed cold, odd. I just felt uncomfortable." As an adult, Mr Davies interviewed Savile again and again. He knew there was something dark about him but he did not know what. Thirty-five years after that first encounter, he published what is the most comprehensive account of Savile's life and crimes. And yet he had been as surprised as anyone when the flood of revelations about him emerged two years before. How did Savile get away with it? In 1971, a 15-year-old girl was found dead. She was known to her friends as Samantha. In the papers she was called Claire McAlpine where she was described as a "dolly dancer" on Top of the Pops. The death, from an overdose of sleeping pills, was front page news. Just before, her mother had contacted the BBC to complain that a DJ had seduced her. In her diary she is said to have described seeing two DJs. Savile was not suspected of sleeping with her but the inquiry was described by Dame Janet Smith as "wholly inadequate" - more concerned about protecting the reputation of the BBC than getting at the truth. In a separate inquiry, Savile admitted to the bosses at Radio One that their suspicions were right. He had been taking girls - 14 year olds - back to his flat from Top of the Pops but only because they did not have a place to stay for the night. Doreen Davies, a former Radio One executive, said it seemed to be entirely plausible - kind hearted. Dame Janet Smith says the BBC failed to investigate the "warning signs" adequately. She does not believe that senior managers knew about Jimmy Savile but she certainly thinks there was a corporate failure to take the issue of protecting young people. What's perhaps even more surprising is that when there were front page stories about Top of the Pops in the 1970s, the BBC's Board of Management were pleased that Savile went to the papers to discuss life behind the scenes at Top of the Pops. In the interview, he describes how it was like a high class discotheque and that, yes, he did go on dates but he only visited homes when parents were present. He was approaching 50 at the time. Dame Janet Smith accepts that attitudes towards older men having relationships with young girls has changed but adds that it is not an excuse for the BBC. Canon David Winter is a former head of religious broadcasting for the BBC. He has written a shelf of books on theology. He was also Savile's boss. In the 1970s, Savile presented a programme called Speakeasy. He brought a large youth audience and was happy to do programmes on moral and ethical issues. Savile, Canon Winter said, would in private "go on about girls" and so one day he questioned how this squared with the DJ's "professed Roman Catholic faith". Savile said it was simple, he would get in to heaven because of his charity work. So did Canon Winter think Savile was abusing young girls? He didn't. He thought it was bluster - the invention of an odd mother-obsessed loner. He suspected he was gay. He also adds he and his colleagues were probably "deluded by celebrity". The Dame Janet Smith report is filled with similar stories. Savile did not spend time with colleagues, he didn't even in the 70s give the BBC a phone number. The head of Radio One's press office, Rodney Collins, rang Leeds General Infirmary's porters office if he wanted to get hold of him. Some, however, suspected the truth. Wilfred De'Ath was a BBC radio producer in the 1960s. Since then his life has had many ups and downs. He has lost touch with his family, become homeless and had a spell in prison for theft. But back in the early 60s his lifestyle was rather more orderly and he made a programme called Teenscene. One day he decided he would interview Savile. Savile agreed, so long as they could meet first in a restaurant on London's Edgware Road. When De'Ath arrived he found Savile with a young girl. "Prepubescent", he says. Afterwards he spoke again to Savile and asked if he wasn't "living dangerously". That was, he says, as brave as he got. The idea of reporting the incident was he feels "out of the question - it wasn't a moral issue". Savile was daring him to say something knowing that he could deny everything. He was, he says, also "physically intimidating". It is something that appears again and again in the report. Staff are said to have received complaints from victims and done nothing. Some 117 people gave evidence saying they had heard rumours or seen things that were inappropriate but did not report them. The culture, Dame Janet says, was to turn a "blind eye" - especially towards stars. With Stuart Hall she goes much further, naming two senior managers who she says should have done more. It wasn't just a matter of missing a few "warning signs". And today? Dame Janet says "whistle-blowing" is now easier but says many of the same fears about the consequences still exist.